One of the main questions I am asked is – what market shall I trade? My answer is – any one where there is a feeding frenzy. At the moment this is the British pound, the grain and agriculture complex, gold, oil, and to specialise in one market intra-day I recommend the US bonds. And most important of all is the timeframe. PLEASE do try and trade the longer timeframes, that’s where the money is. Here is the new colour coded Hawkeye Tomahawke chart of all the GBP crosses. See the many opportunities to trade on big news with Brexit. But this can also be replicated with the Euro. Examples of the grain and agriculture markets. 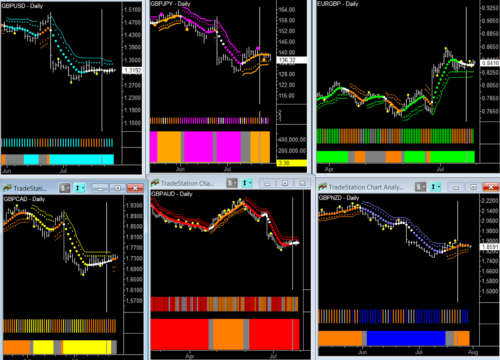 As you can see these markets are in defined trends. I love this market. Why? Because you get long, defined trend runs. Just look at the weekly uptrend since the beginning of 2016, making sure you only take long trades on the daily chart. 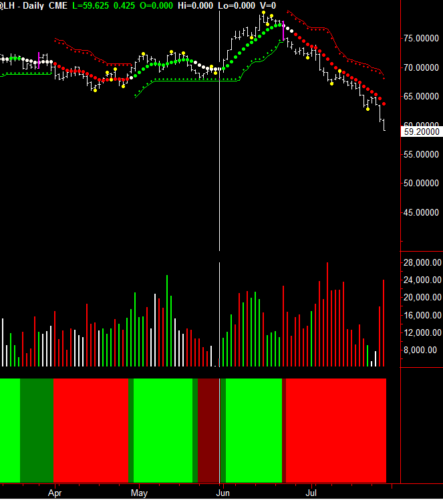 Now, if you go to your intra-day charts you know only to look at long trades where there is lower risk. 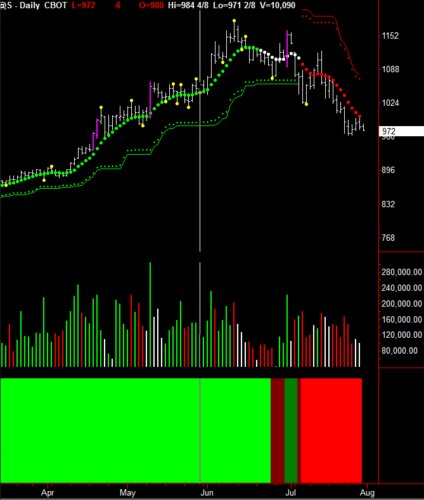 By reading the chart the Hawkeye way, using volume and price, you can clearly see a recent double top. 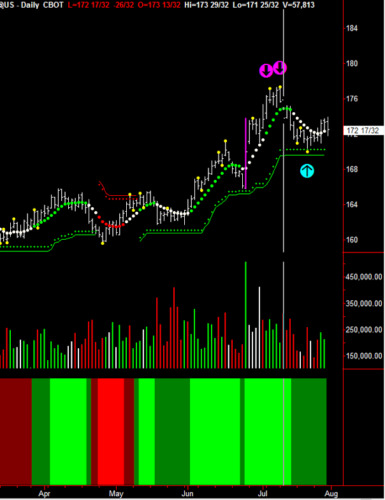 Two yellow dots (indicated by the magenta arrows) at the last market high, then retracing to the Hawkeye stop at the green crosses (indicated by the cyan arrow). 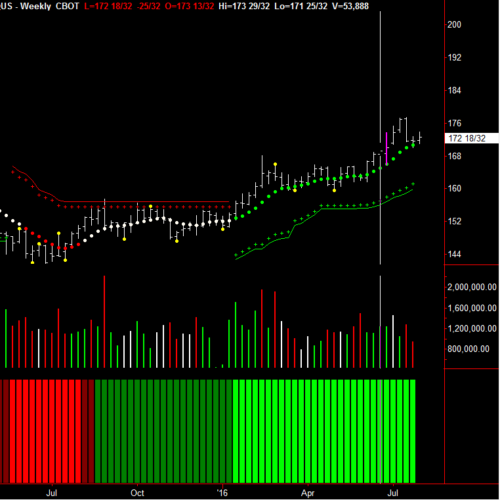 You know you are in congestion and pull back in the weekly trend. So, only longs to be considered till the weekly changes to a down trend. Previous PostPrevious Gold Mining Shares ETF Give Big Bangs for the Bucks.